Do you want to restructure society to more effectively and compassionately meet human needs and stop the ecological crisis? 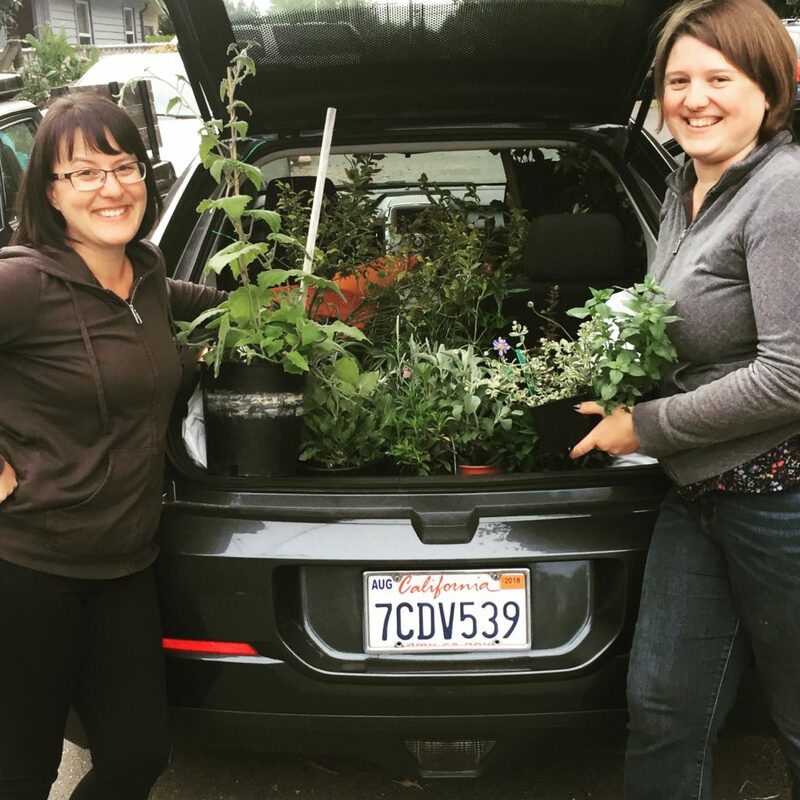 Are you ready to participate in bringing about deep, structural change? 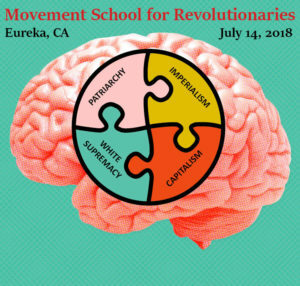 Attend the Movement School for Revolutionaries in Eureka to meet others who feel the same, develop a shared analysis of our current state, discuss how changes can be made here in Humboldt County, and get to work! The Movement School for Revolutionaries is a highly participatory political education and strategic orientation workshop designed for those who recognize the need to restructure society to meet human needs stop the ecological crisis. So if you only believe incremental change is needed and/or possible, this isn’t a good fit for you. We are eager to work you on incremental changes later, but this day is about deep, structural change. We will also talk about how (not “if”) revolutionaries should engage in electoral politics. So if you are a revolutionary who does not believe in engaging elections at all, this isn’t a good fit for you. We are eager to work you on social movement efforts later, but this school is designed for self-described revolutionaries who want to explore elections as one of several tactics. Mel Figueroa (Campus AntiFascist Network), Emily Kawano (Solidarity Economy Network) and David Cobb (Cooperation Humboldt) will serve as facilitators. 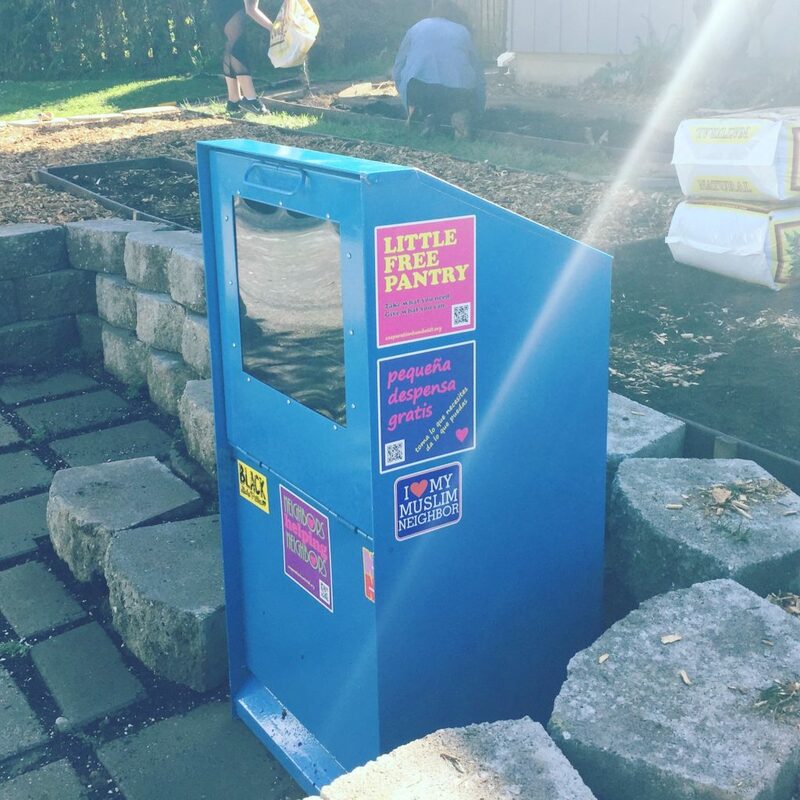 Help us Fund 10 More Little Free Pantries! 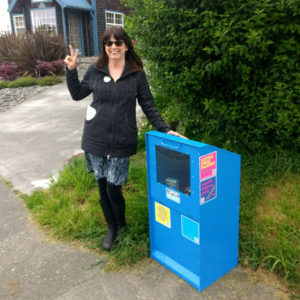 Our first two Little Free Pantries in Eureka have been very well received, and we’ve had a lot of interest from more people who would like to host a box. 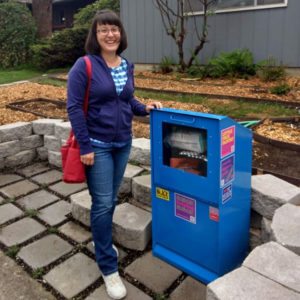 We need your help to purchase and install 10 more boxes! Please donate and/or share; thank you!!! I commend the courage and leadership shown by the four Arcata City Councilmembers who voted to remove the McKinley statue from the Plaza (Opposition to City Council’s McKinley removal decision begins to emerge, Feb. 24). Though it was (and will continue to be) difficult, they have struck at least one small blow to the dominant culture of patriarchy and white supremacy that we are all living under. I know Sofia Pereira to be one of the kindest, most thoughtful people I know, and I take offense to the tone of Michael Winkler’s letter on her behalf. Unfortunately it’s far from rare for women in positions of leadership to face this kind of condescending treatment from their male co-workers. I assume based on what I know of Mayor Pereira that she understands the deep wounds that colonialism and racism have inflicted on our community, and that she recognizes the importance of allowing those hurts to be aired and hopefully rectified. This process is ugly and uncomfortable – but not nearly as ugly and uncomfortable as the long list of atrocities that have been perpetrated against indigenous people on these lands over the past two hundred years. Every bit of the wealth and prosperity that we currently enjoy on this country is based on the oppression and extinction of native people and people of color. None of the land on which our homes and businesses sit would be “ours” had it not been viciously taken through the genocide of indigenous people. The wealth that has passed to us (primarily white people) generation to generation was only made possible through the murder of native people and the exploitation of slave labor. Like it or not, that is the reality of our current economic system. In this context, Dan Hauser’s assertion that “it would be totally unfair and unreasonable to promote this effort with City funds,” would be laughable if it weren’t so sad. Has he no understanding that every dollar collected by the city for hundreds of years is tainted with the suffering of indigenous families? Apparently not. We, as white people, have a lot of work to do. At a bare minimum, we need to learn to be OK allowing the victims of this systemic violence and exploitation to be mad. What other reaction could they possibly have to the knowledge that their parents and grandparents suffered so mercilessly in this, their home country? What other reaction should we expect in the face of the statistics showing that nearly 30 percent of Native Americans live below the poverty line, and that Native Americans are killed in police encounters at a higher rate than any other racial or ethnic group? Hopefully once we master the ability to allow space for this anger, we can move into productive conversations about how to create a future that is very, very different from our past. But we won’t get there if we continue to demonize oppressed people any time they display justifiable anger. If anyone would like to watch the Feb. 21 City Council meeting in question, you can do so through Access Humboldt’s website, accesshumboldt.net; the incident around which your recent article centered begins around minute 58.